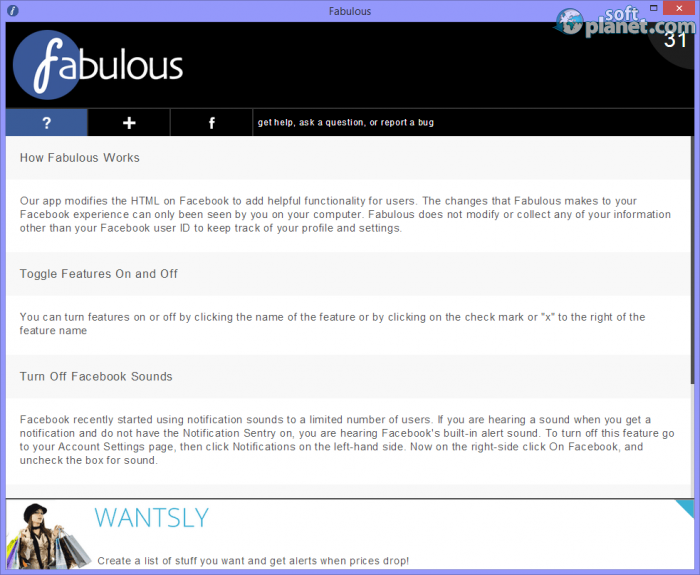 SoftPlanet makes it possible for everyone to get free Fabulous download directly from our servers. There is no registration needed for downloading. 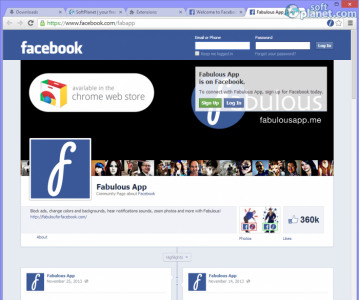 Fabulous 32.4 is a Google Chrome extension that can completely customize your Facebook account. This means that you can change the colors and add a background image. Users can change the font and text size as well as enlarge and zoom all Facebook photos quickly. All ads and sponsored stories can be blocked so you can concentrate on your tasks. 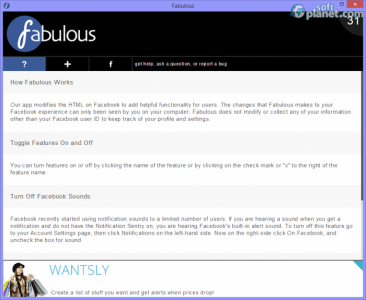 Fabulous will start with all 10 features disabled. You can turn on any one of them with a single mouse click. A second click over any feature will turn it back off. This extension is completely free of charge and can be downloaded on any Windows PC running Google Chrome. You will have to log in to your Facebook account in order to start using the extension options. 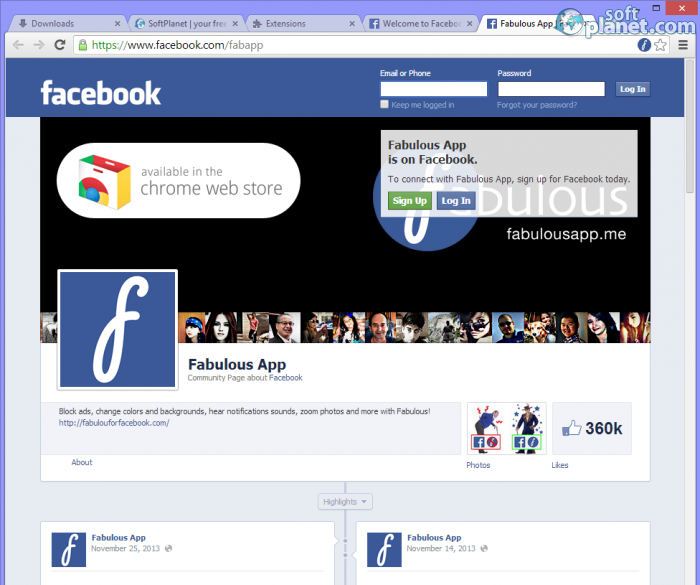 Fabulous will only show if you have opened the Facebook web page in your Chrome browser. Its icon will show up only in that browser tab where you can populate the extension Settings window from. Our security scan shows that Fabulous is clean from viruses. The current version of Fabulous has been scanned by our system, which contains 46 different anti-virus algorithms. That ensures that Fabulous 32.4 is 100% safe for your computer.